Historic Downtown San Pedro is just steps away from the waterfront and features a collage of architecture, shopping, dining, art, entertainment and browsing. With its small town atmosphere and many family-owned businesses, Historic Downtown San Pedro reminds many of the neighborhood of their youth. 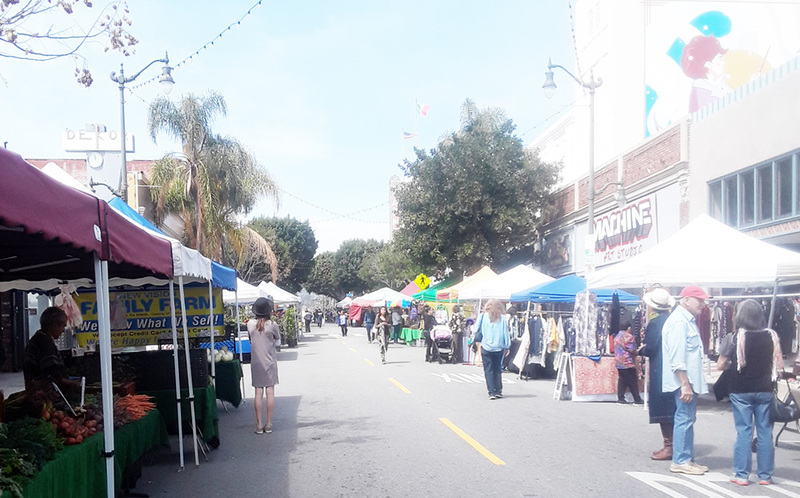 A wonderful time to experience Historic Down Town San Pedro is on every Friday of the month when Historic Downtown San Pedro Local Harvest Farmers’ Market is open between 9:00 am until 2:00 pm. Every Friday is unique at this event with local musicians performing while you shop for Certified California Grown farm fresh fruits, vegetables, plants and flowers. You can also enjoy fresh hot fare from one of our many vendors, gourmet specialty foods and treats along with shopping for that special something from one of the arts & crafts vendors.